Come join us for this special event Saturday, July 16th 12pm to help raise money and awareness for With My Own Two Hands Foundation. All proceeds will go to helping orphans in Africa effected by AIDS and poverty. 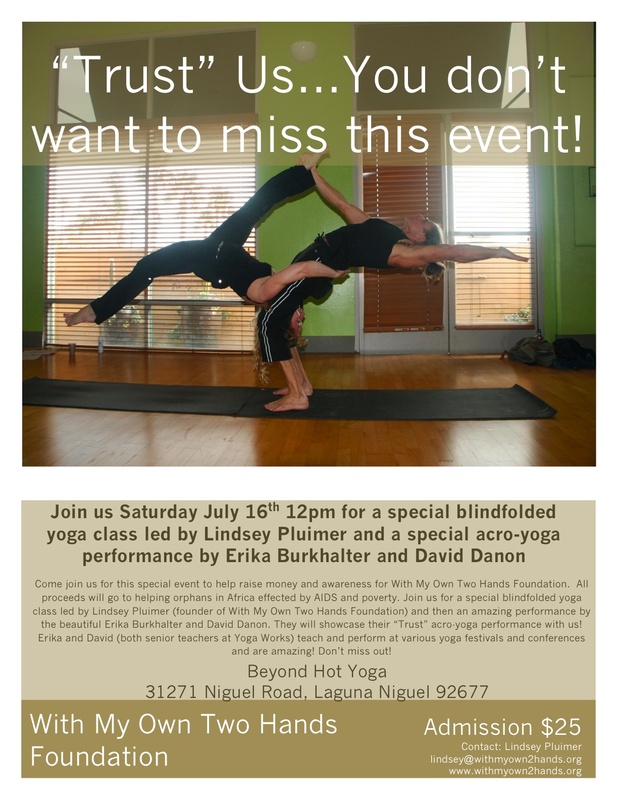 Join us for a special blindfolded yoga class led by Lindsey Pluimer (founder of With My Own Two Hands Foundation) and then an amazing performance by the beautiful Erika Burkhalter and David Danon. 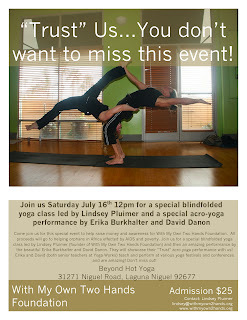 They will showcase their “Trust” acro-yoga performance with us! Erika and David (both senior teachers at Yoga Works) teach and perform at various yoga festivals and conferences and are amazing! Don’t miss out!